Do you recall this scene? From the start, Judge Afterman seemed to have his mind elsewhere—to the point that he eventually fell asleep in the middle of Diane Lockhart’s objection. 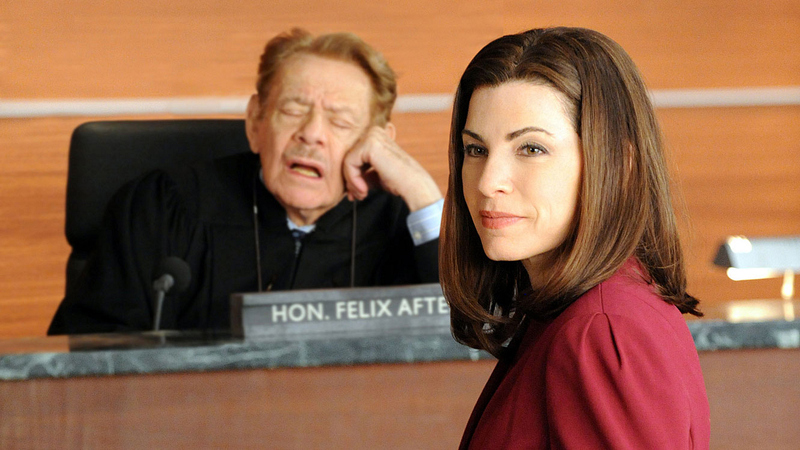 Diane Lockhart: "Objection, your honor!—Your honor?" Judge Afterman: (Shaking himself awake) "I heard you—sustained!"